On a night of triumph, a retired University of Maine basketball coach emailed his congratulations to a former player. Then Skip Chappelle turned off the lights in his Veazie home near Bangor and went to bed. 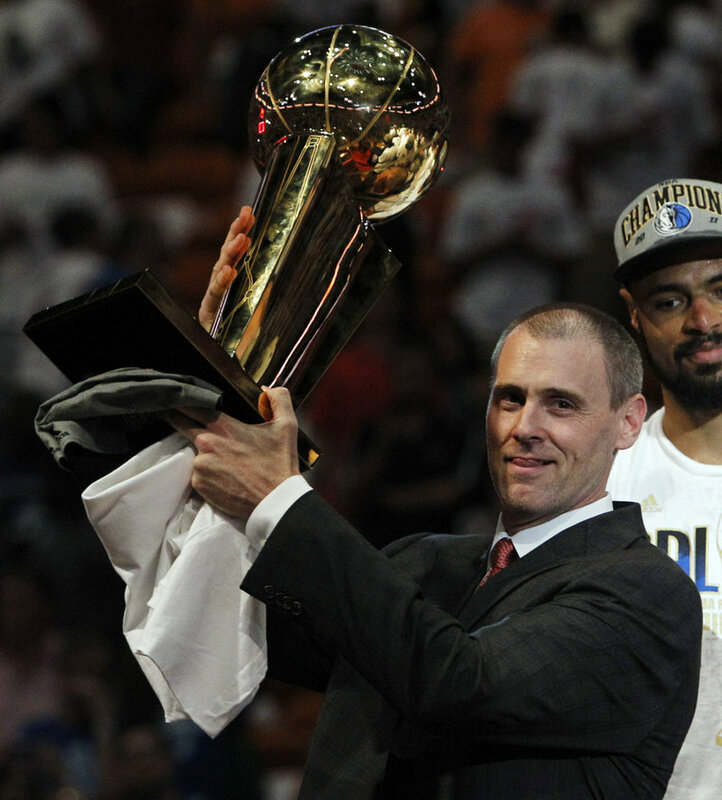 Rick Carlisle replied within several hours. He didn’t get much sleep after his Dallas Mavericks beat LeBron James and the Miami Heat for the NBA championship. “This one is for all the old-school guys,” Carlisle wrote Chappelle, one basketball coach to another. One Maine Black Bear to another. So strong is Carlisle’s appreciation for his time with Chappelle at Maine, he made a video last winter, appealing to donors to join him in giving back to the university and its effort to raise $19.5 million for renovations that include Memorial Gym. The university is about $5 million from its goal. Carlisle asked that the video not be made available to the media but his message is powerful, said Pat McBride, the university’s Assistant Athletic Director for Development. It was McBride who sent a letter to Carlisle back in November, asking the Mavericks’ head coach if he had the interest and the time to get involved. Carlisle had both. When the Mavericks played the Celtics on Feb. 4 in Boston, Maine AD Steve Abbott joined McBride for a meeting with Carlisle. What might have lasted 15 minutes stretched into 90. It’s a remarkable story because so much is happenstance. No one but Chappelle recruited Carlisle when he came out of Worcester Academy in 1979. He was 6-foot-5, intelligent and intense but not particularly quick. A small-town kid from tiny Lisbon, N.Y., near Ogdensburg, where his father had a law practice. Carlisle needed a chance to develop his skills further. Years later, Jimmy Howard left Ogdensburg to come to Maine for his brilliant hockey career in goal. When McBride mentioned to Howard that he was the second most-famous person to come from the small city on the south bank of the St. Lawrence River, the hockey player drew a blank. Who’s the first? Carlisle joined a Maine team that included Rufus Harris and Champ Godbout. They played in The Pit, made hot and noisy by the large crowds of fellow students and basketball fans that watched the Black Bears win. 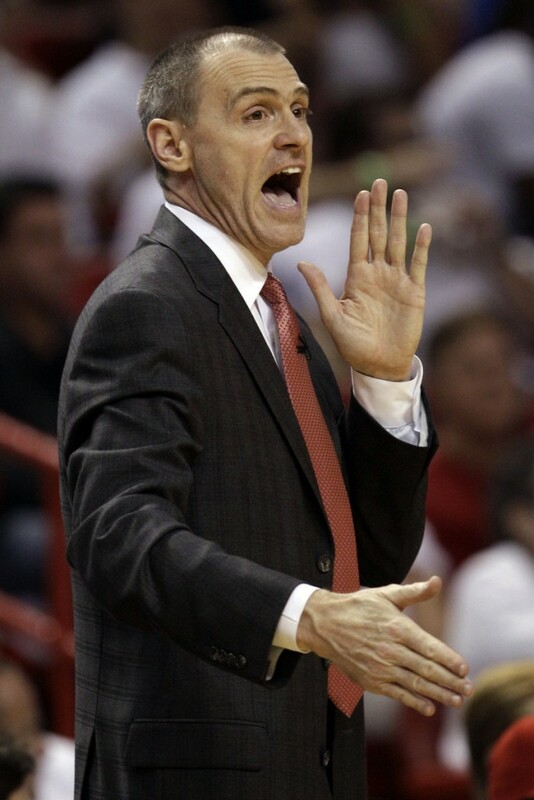 “The Stein Song was sung during warm-ups and the place rocked during games,” said Carlisle. “It intimidated opponents as home courts should. It was my first taste of college basketball in a legendary venue and it was incredible. Carlisle left Maine after two years. At the time, he and his father criticized the university for selling the basketball team short as it put more emphasis on the hockey program it was bringing back. Carlisle transferred to Virginia to play with Ralph Sampson, one of college basketball’s better big men. Godbout transferred to Holy Cross. Instead of turning on the pair for deserting Maine, Black Bears fans cheered from afar. With Carlisle in the backcourt, Virginia made it to the elite eight, losing to Jim Valvano’s North Carolina State. 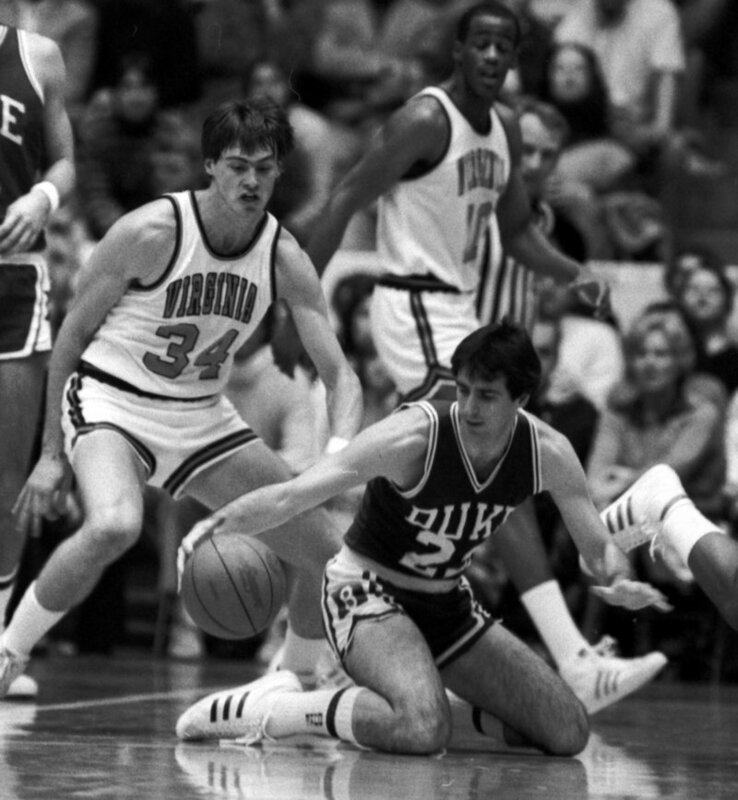 Carlisle was named a senior co-captain the next year and without Sampson, who had graduated, the Cavaliers reached the Final Four before losing to Houston in 1984. Carlisle was drafted by the Celtics and was a role player on a team that featured Bird. His brief career as a player has been overshadowed by his success as an NBA head coach. In that 1997 interview, Carlisle said, “If it wasn’t for Maine, who knows where I’d be now?” He repeated that the other day. Working to raise the money to renovate Memorial Gym is just a way of helping the university that helped him. When Carlisle met with Abbott and McBride, he brought more than his name to the table. “It was unbelievable,” said Abbott. “It’s the height of the NBA schedule, they’re in the middle of a grueling road trip and he’s got 90 minutes to spend with us. “He was very detail-oriented. He looked at the plans and talked about every decision we make, we have to keep in the front of our minds the students and the fans. He has a great appreciation for the way Maine fans embraced him when he played. Yes, Abbott was among those fans. He was an upperclassman at Orono High School at the time and one of those who squeezed into The Pit to watch Chappelle-coached teams. To be honest, Carlisle also supported Virginia when that university upgraded its facility. The last two years of his college career at Virginia mean a great deal to him. That’s what sets Carlisle apart from others. He doesn’t forget or put his beginnings in the rear-view mirror.